At Cottonwood Discount Storage in Cottonwood, AZ, our team of friendly professionals is here to help you through your big move. We understand that moving can be a very stressful event, that is why we offer everything you need, from packaging tape to moving trucks, all in one accessible location. As an authorized U-Haul rental facility, our customers receive the benefits of our expertise and the convenience of a spacious U-Haul moving truck. Loaded with more safety features than the leading competitors, U-Haul moving trucks are engineered with families mind. Our six varieties of trucks, ranging in size from 10' to 26', are equipped with air conditioning, automatic transmission, SRS/air bags, high visibility mirrors, and gentle-ride suspension for comfort and ease. We also offer pickup truck and cargo van rentals for smaller jobs. Cottonwood Discount Storage is the perfect partner for moving families. 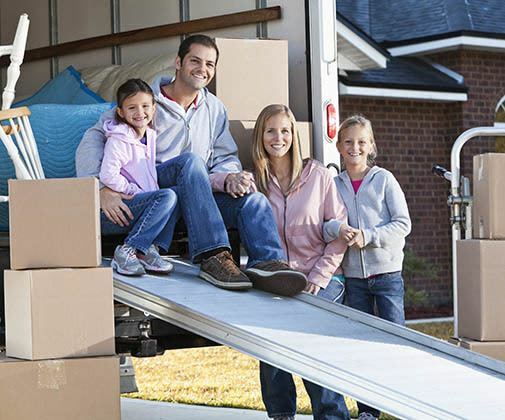 Whether you are moving to, from, or around the Cottonwood area, we can provide you with the moving supplies you need to pack up the house, a place to store your stuff during transition, and a truck to move it all. Let us help you get the most out of your moving experience. When packing your moving truck, organization is key and planning is everything. That is why Cottonwood Discount Storage in Cottonwood, AZ, is here to help. Our friendly staff of storage professionals has everything you need to make your move a smooth operation. From packaging and supplies to helpful tips and advice, we're here for you! Arrange in Loading Order - It's a good idea to pack your heavier items first, such as furniture and appliances, to ensure that you have enough space for them. Since these large items will be loaded first, place them closest to the loading area and work your way back so that your smallest and most readily needed items are last. Luggage and Essentials Last- Load your luggage with everything you will need for the first night in your new home, like clean clothes and toiletries, and load them in the truck last so that you have them right away. This way you wont have to go rummaging through boxes looking for your pajamas and toothbrush after a long day of moving. Label Everything - Knowing the contents of each box will allow you to unload and unpack as easily as possible. Label boxes with a clear description of what's inside, as well as the room where the box belongs, so that everything can go right from the truck to it's new home.